WHEN they weren’t rubbing shoulders with the likes of the dearly departed David Bowie and Miriam Makeba, the founders of Klûk CGDT were working arduously to set a new benchmark in fashion design across the African continent and beyond. The enduring, masterly composition of their work over the years has put them among Africa’s fashion top brass. If you think of some of the most renowned fashion brands in the world, you will find that they were often the illustrious products of two complementary partners — Versace, Valentino, Dolce & Gabbana. These brands are the dual aesthetic emanating from the marriage of individual creative characteristics of each partner in a collaboration. A similar duality is sensed in the charm of the Klûk CGDT brand. “We are known for our sharp tailoring as much as our romantic feminine side,” say Malcolm Klûk and Christiaan du Toit, the brand’s founders. Klûk and du Toit were early members of SA’s burgeoning fashion industry. Before they met, each designer had begun their own journey towards fashion fame. After completing his education at the prominent Central Saint Martin’s College in London, Klûk went on to an apprenticeship under the extraordinarily talented John Galliano. 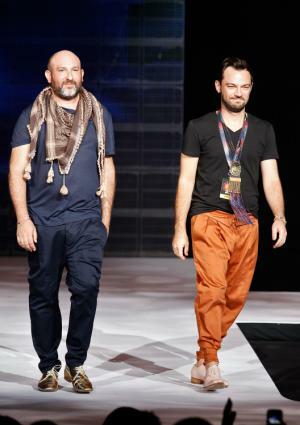 Du Toit graduated from the Cape Technikon’s fashion school, where he was proclaimed Most Promising Designer in 2001. Both men have since proven to be far more than promising, adding to their individual accolades joint achievements from within the country and abroad. The duo met at a fashion show in 2001. 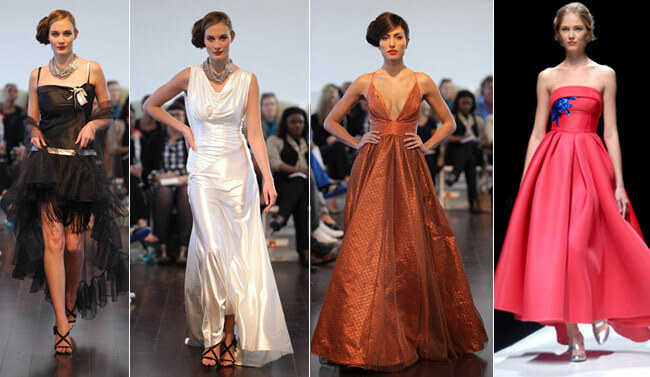 Klûk’s label CGDT was a finalist in a design competition and du Toit was a featured designer. Their collaboration — Klûk CGDT — was officially established in 2003. Since then, the brand has achieved significant milestones that include showcasing their collections all over the world, earning them the African Fashion International African Designer of the Year award three times in a row, twice at shows in Nigeria and once in SA. African Fashion International is a company established by businesswoman Precious Motsepe to promote African fashion brands. “Christiaan is very detail-focused and concentrates on the finishing and finished product and Malcolm is more about the creative direction. “We love that you have asked about our current muse because there are so many women that we love and (who) inspire us,” they say. However, they say there is “a certain redhead that has always been a muse for her grace and style and a certain radio personality and comedienne with a large personality that inspires us”. Designing for each line must require a certain level of care to avoid falling into a cycle of repetition.